Acting as the forefront of global communication, Alcatel- Lucent is dedicated to provide products and transformations in IP and cloud networking throughout the world. Underpinning Alcatel- Lucent in driving transformation across the industry is Bell Labs, an integral part of Alcatel-Lucent and one of the world’s foremost technology research institutes. The company serves the government customers through DC-based subsidiary LGS innovation, working with federal agencies, including US army and major contractors. Alcatel-Lucent operates across three segments¬– core networking, access and others. Core Networking involves three divisions: IP Routing, allows service providers create a more efficient network infra that enables new services enriching enduser experience; IP Transport, helping them transform their optical transmission infrastructures, ensuring reliable transport of data at the lowest cost per bit; and, IP Platforms, provides software and offers services allowing service providers deliver, manage, charge for, and optimize their customers voice and data communications services. Access Segment involves four business divisions: Wireless, delivering 4G or long term evaluation overlay solution, 3G/4G and multi-standard small cell solutions along with related professional services; Fixed Access, supporting both DSL and fiber and allowing service providers to extend ultra-broadband access to the customer’s premise regardless of technology; Licensing, engages the Intellectual Property Business Group to monetize the company’s patent portfolio through licensing and patent sales while maintaining and prosecuting patents; and, Managed Services, includes a range of services delivering customers accelerated time to market, continuous improvement in service quality and a sustainable lower total cost of operations. While others include transversal functions in the areas of sales, operation and strategy and innovation. The company’s efficiency can be well reflected through the client success story of Vobi, multimedia information sharing application provider company. Vobi was approaching for collaboration by examining caller’s identitiy and automatically collecting and curating content around the calling parties. For this it needed a platform to trace the call information and call control. Alcatel-Lucent’s IMS API helped them achieve the target and gain positive response from the broad cross-section of providers and large enterprise users, running IMS. “We have a clear vision to focus on 4G and 5G. Also, we have the potential to be part of the new rollout of 4G particularly in building new networks or overlay networks. And, when it comes to extending 2G and 3G networks, we’ll be less active because that is less of a play for us,” says Combes. 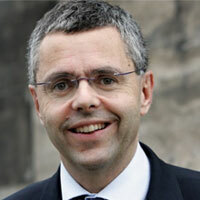 In coming years, Alcatel-Lucent hopes to shift into new industry paradigm. Also, the value is seen to move inevitably from user premise to service provider cloud and ‘transforming everything in network supplied overtime'. Providing solutions and innovations in both IP and cloud networking to the service providers and enterprise.